In the North Thompson Valley everyone has a few wild neighbours. But in Blue River, in the heart of a temperate inland rainforest, our wild neighbours are of the fur-covered, four-legged kind. Just off the Yellowhead Highway step out of your vehicle. 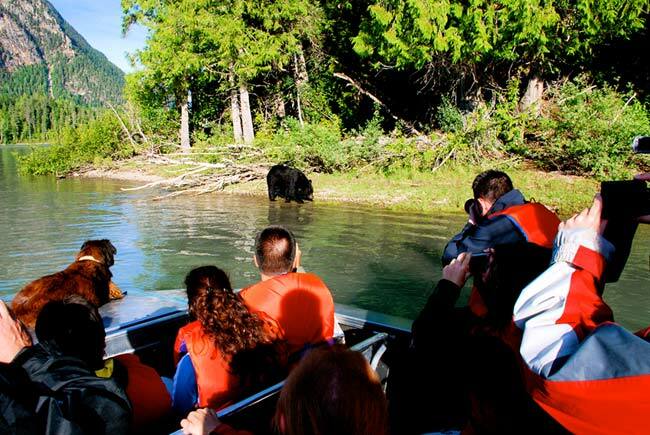 River Safari will take you on a guided boat tour into the Canadian wilderness for bear viewing. The milky blue-green waters of Mud River carry you to the Mud Lake Delta, one of the richest habitats for black bears and Grizzly Bears in all of British Columbia. 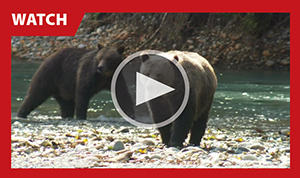 Get ready for a one of a kind adventure in bear viewing! Tighten up your life jacket and get ready to zig and zag down the river in an environmentally friendly hydrogen fueled jet boat. In the next hour, your life will be transformed. 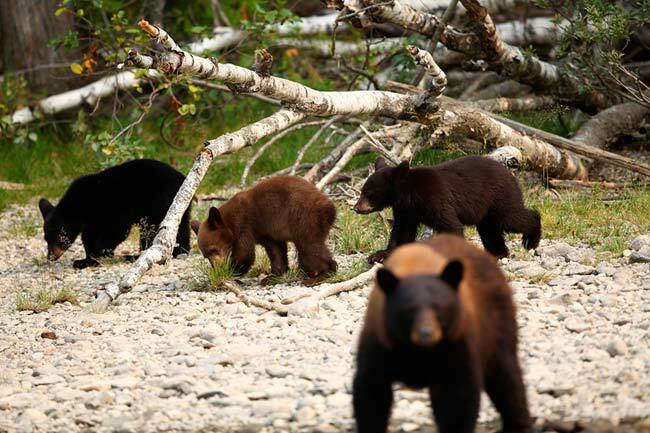 Keep your eyes peeled, as bears love to gather at the shoreline. As you round the corner, the guide turns off the quiet motor. You look around and then you spot them. Your heart pounds as a bear raises its head and looks you right in the eye. Then, he looks away, interested in the grasses, berries and fish nearby. In the spring, there may be an entire family enjoying their day out by the water. 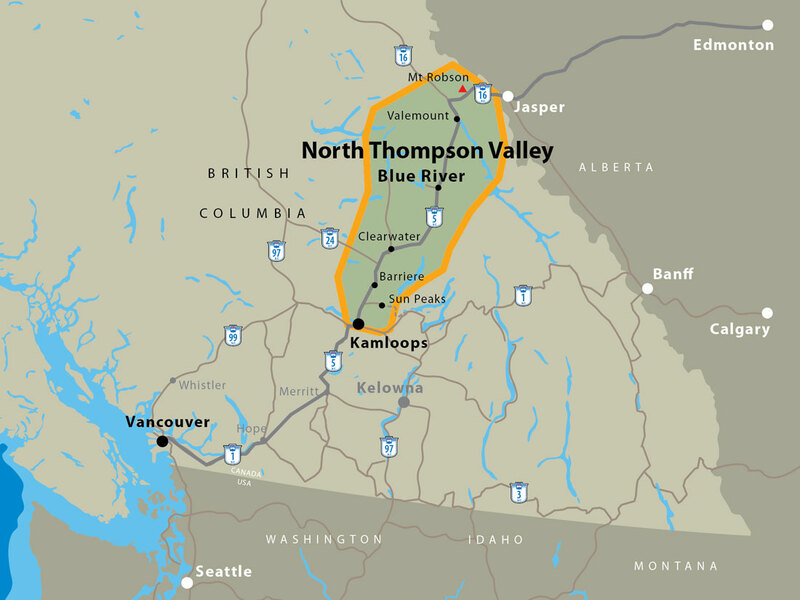 The temperate climate of the North Thompson Valley means there is a robust population of Black Bears and Grizzlies that live wild just beyond the tree-line. Feel the sun kiss your face as you breathe the fresh mountain air. Beyond the river, the Monashee Mountains stand watch over the diverse mixture of wildlife here. There’s more than bears here, watch for bumbling moose foraging along the water, or a shy deer peeking through the trees. Below you, trout swim beneath and around your boat, while above the eagles and ospreys are patiently waiting to catch their dinner. This is it, you’ve got a front row seat to untamed Canada’s natural wonders. After a day out on the river, head over to the dockside River Safari restaurant. The Forest Table is where you can literally eat like a bear. Berries, salmon, mushrooms, elk and buffalo are just some of the ingredients used to create their unique and flavourful dishes. 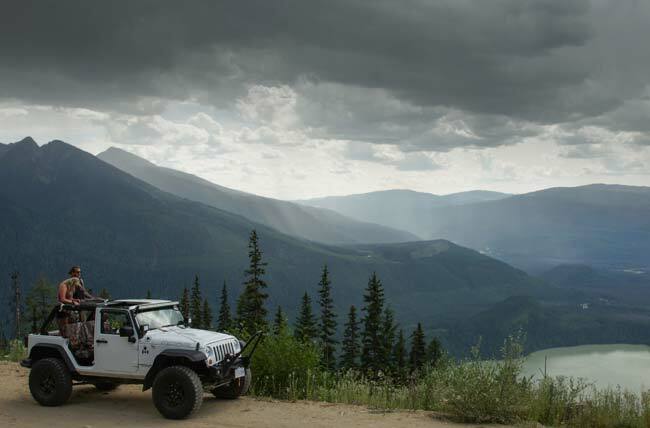 Get adventurous and take a jeep tour deep into the heart of bear country. You’ll see things here usually only seen on TV. Hang on tight as you go off-road, bumping and bouncing into the rainforest in a 4X4 jeep. Experienced guides will give you an intimate look at these great beasts’ home. You’ll learn about their behaviours, their family life and their eating habits. As you climb up the backcountry and service roads the sweeping valley views are spread out below you. Stop and listen to the wind. 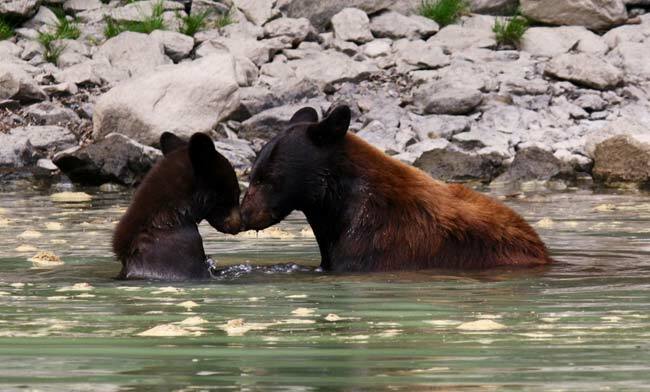 Look around and see, touch and taste the greens and local berries the bears love so much. Drink it all in. You are here, where the wild things live. Still hungry? 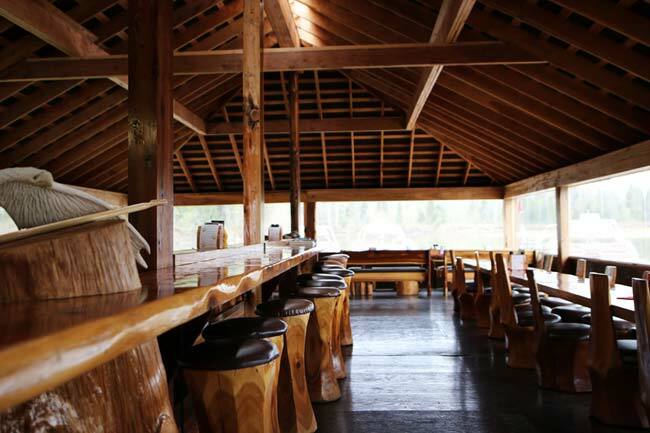 When you get back, step into the Forest Table Restaurant, River Safari’s dockside dining room. 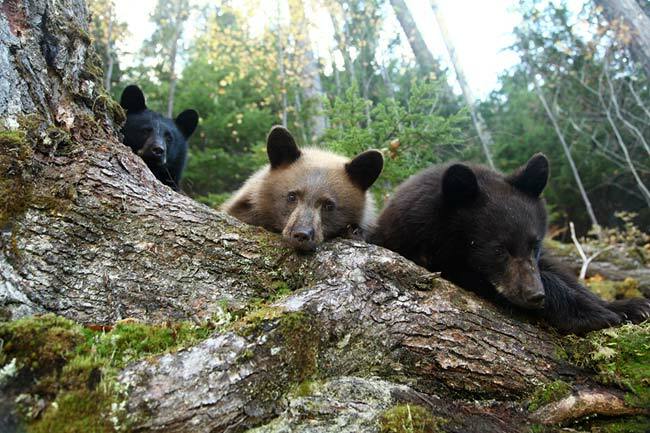 Discover the delicious ways the chefs create dishes using the wild greens, berries, and salmon the bears also love to eat.